In the world of sports, we might be rivals. In the world of industry, we're colleagues. On the world's stage, we're close relatives, but in dance music Chicago and Detroit are the kind of sister cities that finish each others' sentences. But in light of the ever-increasing ability to connect with people of the other side of the planet, Chicago's been neglecting regular contact with our own next door neighbor. There was once a time when music, artists and energy traveled freely between the two cities, and this Friday, March 12th at Smartbar, D3: Deconstruct, Discover Detroit Art and Music Series hopes to revive this exchange of ideas. Put together by local techno promoter VOLATL, house label D'Lectable Music, and art collective Prak-sis, D3's opening night features Detroit native and second-wave techno innovator Stacey Pullen, D3 founder Lady D and locals Max Jacobson, Max Loomis and Jay Cho, as well as multimedia art and performances. 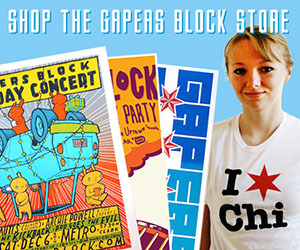 Friday's kickoff event is only the first in the quarterly series, and Gaper's Block sat down with organizer Darlene Jackson, aka DJ Lady D to discuss her vision and Detroit's influence on dance music. 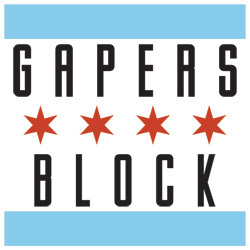 Gapers Block: So let's start with the basics. How did D3 come to be? Darlene Jackson: I was thinking about the marketplace of Chicago and realized that we weren't doing enough to reach out to our brothers and sisters in Detroit. There's been always this give and take between Chicago and Detroit. So I said, what I'd like to do is like to get them back in the mix and it would be a good time because some of these guys hadn't played in like two or three years. I always thought Chicago and Detroit had this classic relationship where one thing fed the other. GB: So another exchange was due. DJ: Well and it was timely. As it turns out it's the 25 year anniversary of techno. And it might be arbitrary in some ways, but I think they're basing it on the fact that that was the year that Juan Atkins started his Meteroplex label. Techno is enjoying this really nice rebirth and Detroit is really the center of all that. I know people focus on Germany a lot, but really there's no Berlin without Detroit. I'm really glad they're taking this opportunity to let people know the facts and that fact is that Detroit techno is really the jump off point for a lot of what's happening today. So I began to inquire about booking Juan [Atkins] and Carl [Craig] and Derrick [May] and Stacey [Pullen] — because these are the guys I feel exemplify the first and second wave of Detroit techno — and they were like "Yeah, by the way we're going to be starting to do D25. We've got big events planned." But I think we're going to keep D3 small and intimate and highly educational. GB: You talk about a classic relationship between Chicago and Detroit. In house and techno that's certainly true, but to anyone on the street, the two cities might seem more like rivals. DJ: Well, they'd be wrong. (laughs) Maybe we all started at one place but we have these divergent paths. I mean, Chicago says house pretty much started in 1981 and Detroit says techno in '85. When you listen to the stories, Detroit guys were coming here and listening to the Hotmix 5 and going to some of these classic old school house parties and then they would go back. They started DJing and it was a big deal when they first tried to get their music marketed because they wanted to call it the house sound of Detroit, and it was Juan who said, "No, I don't do house. This is techno." It was really an influence from their whole lifestyle — and I'm sure they tell the stories better — which was their parents working in the auto industry. And that really wasn't a part of the Chicago experience. They didn't start making music on a 303 because their parents are coming home saying "My friends are losing jobs and I work with robots." So you can see why the music sounds the way it does, and traditionally it's very similar music. Chicago is more rhythmic and percussive and Detroit is more melodic and synth-based. It's not a rivalry. We're all competitive in our own way, but it's more of a friendship, maybe a revelry. We both enjoy each other's stuff. GB: Tell me about the other people and collectives involved in the show. You're working with VOLATL and Prak-sis as well. DJ: What it came down to was that I went to a few art shows and had seen the Prak-sis group and was so super impressed. I decided I could incorporate art into D3. Working with Nadia [from VOLATL] is integral to the D3 experience, as she's a promoter who is experienced with techno and has also thrown a lot of events in Detroit. It was a big vision at the time and I couldn't think of any other venues I wanted to work with other than Smartbar. Actually I took one of the Smartbar stickers and put it on my mirror, so I would know not to lose focus. I had an idea, thought about who would play well together. Everyone who is booked, in terms of locals, includes people who have expanded their repertoire to include techno. Smartbar normally starts at 10, but we're going to start at 8 with an arts showcase, like a gallery opening. Kiwon [the founder of Prak-sis] has a vision and I trust her vision, much in the way I trust Nadia's vision to market the night. It's a really nice fit. We started meeting back in November, and just throwing out ideas. GB: Prak-sis is creating a pretty comprehensive multimedia aspect for the show, it seems. DJ: Yep. Kiwon, curates a show like nobody's business. Her reach into the art community of Chicago is really strong. She founded Prak-sis as a contemporary arts organization and it's also non-profit. The events they do rival the MCA, I've been amazingly impressed by the types of output they get from their artists. I thought, "If I can create something that I can have them be a part of to expose them to a new crowd, I would be proud." GB: With all these elements, what is the final vision of D3? DJ: If you came in at 8pm, you would see a place transformed from what it normally is. There's going to be visuals and performance and fashion and music. Smartbar normally a bit thump-thump-thump and drinking! So the environment is going to be a lot different. 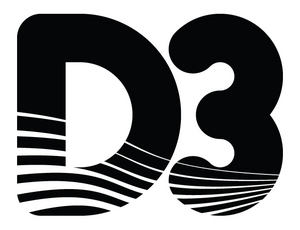 The name D3 was originally from D'lectable Does Detroit, which is my company and it was the most basic idea of the night. But when I really started thinking about what is actually being "done" about Detroit, I thought well I'm going to deconstruct whatever mythology there is about it and allow people to Discover Detroit. So people who don't know the classic Chicago relationship, or people who may not have ever been interested in hearing Detroit sound, or knowing they even birthed techno. It's going to a place where they can have fun and maybe have a few challenges. Something to learn, something to experience. It's going to be a full-on immersion, with deconstructed art and urban decay and other themes of that nature. That's really what Detroit is, is a flower growing through the concrete. You'll see urban decay to urban renewal, and that kind of defines Detroit and even some parts of Chicago. GB: So is D3 hoping to look at Detroit through the window of Chicago, or maybe comment on Chicago through the medium of Detroit? DJ: I'd say the former, but it'd be nice to see what we learn about Chicago after having looked through that window. I don't think it's going to be a one-way view, because once you turn around and look inside the house you're able to see what needs to be moved around or changed. 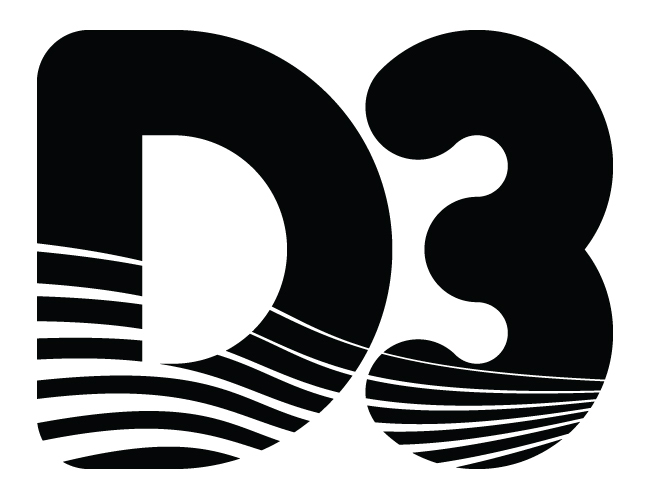 D3: Deconstruct Discover Detroit Art and Music Series with DJs Stacey Pullen, DJ Lady D, Max Jacobson, Max Loomis aka Joint Effort, DJ Jay Cho and featuring art by the Prak-sis artists collective starts at 8pm Friday, March 12th at Smartbar, 3730 N. Clark. Tickets are$15. 21 & Over.